Meet Barry Ween, the smartest living human. Cranky, egotistical, arrogant, and foul-mouthed, Barry in general wants to conduct his experiments and be left alone, but it never seems to work out. Meet Barry Ween, the smartest living human. What does a ten-year-old boy do with a 350 I.Q.? Anything he wants! Cranky, egotistical, arrogant, and foul-mouthed, Barry in general wants to conduct his experiments and be left alone, but it never seems to work out. Hurdles that Barry must outmaneuver range from time warps, to art thieves, to inter-dimensional warfare with gorillas, to accidentally turning his best friend into a dinosaur! 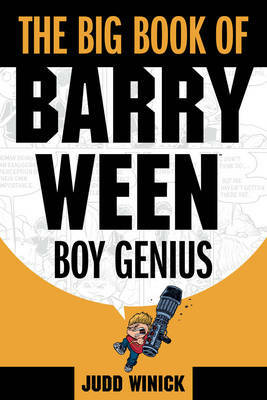 This massive volume collects all three Barry Ween mini-series - 12 issues in all - for a complete compilation of the hit series, The Adventures of Barry Ween, Boy Genius .